Released in 2011 Alera Elusion through the years has been one of the the most popular office chairs on the market. The chair has been purchased and tested by hundreds of happy customers. But what is the truth about this chair? I checked it and wrote full Alera Elusion review. Alera Elusion Series is great budget option for small workspace. It is not only a comfortable ergonomic office chair for lower back pain, but it also helps with blood circulation in legs. Designed with user’s health and comfort in mind, it has many adjustments which are very rare at this price point. Simple, but professional appearance make Alera chair perfect for any business and home offices. Let’s take a closer look at Alera Elusion features which make this chair comfy and multi-functional. Alera Elusion chair features S-shaped backrest and multiple adjustments to help the user maintain good posture and support his spine properly. Mid-Back version of Alera Elusion Chair has a backrest that supports the lower and middle part of user’s back. The lower part of the backrest is rounded to fit the lumbar spine natural curve. It’s must-have for people who have lower back pain. If you suffer from a lower-back pain, support for this part of your spine is must-have. However, keep in mind that this is a Mid-Back version which means it doesn’t support the upper back, neck and head. If you struggle with neck and shoulder pain you should choose a chair that would support your entire spine, for example Alera Elusion Series Mesh High-Back Multifunction Chair. 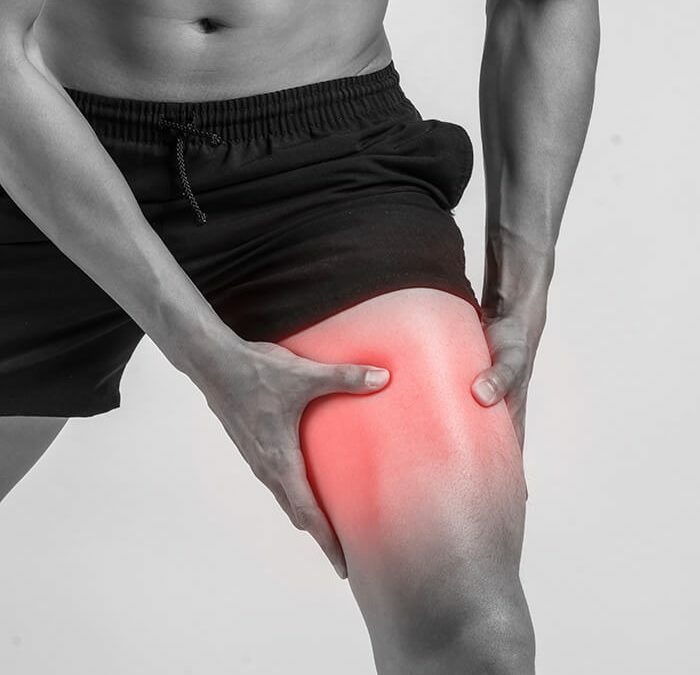 When you sit on an uncomfortable chair for many hours a day and the seat has hard edges, your thighs may start hurt you and you may often experience numbness or cramps in your legs. That’s why Alera Elusion Chair has contoured cushion with waterfall edge. Such a design aids to reduce or even eliminate the stress on legs and improve the blood circulation. 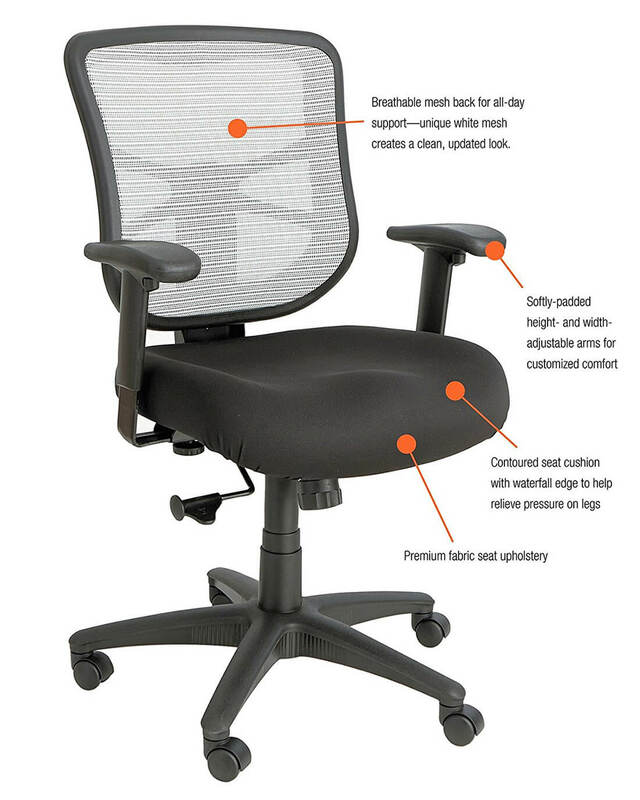 There are many things that user can adjust in this ergonomic office chair to find his “comfort zone”. 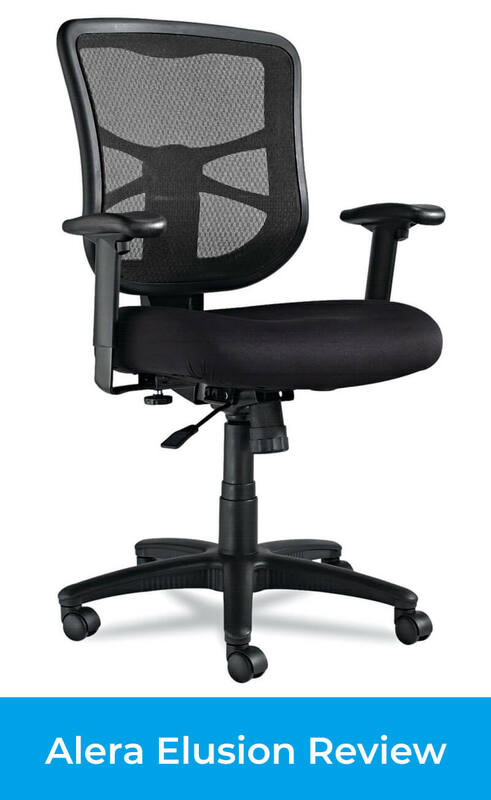 As every other office chair, this one can be raised or lowered as well to accommodate users of different height. This feature allows to find the most comfortable position, especially for the legs. The chair height is proper when you can keep your feel firmly on the floor and your knees at a 90 degree angle. You can also move the backrest up and down few inches to adjust it to your torso length and find the most comfy position and optimal lower back support. We all have different height, body type, posture and a bit different spine natural curves, therefore it is really useful to have a ratcheting backrest that slides up & down and adjusts to user’s back. Thanks to this function this chair is a great option for people who suffer from lower back pain. Besides, this feature is very rare among low-budget chairs, therefore I consider it a big advantage of Alera Elusion. Alera Elusion offers us most important adjustments. You can lock the backrest when you want to sit in straight position or unlock it when you want to tilt back. The recline is not very deep but it provides comfy position when you want to take a break from typing or answering phone calls and relax a bit. There is also a tilt tension adjustment which allow you to choose how difficult the backrest is to recline. Although Alera Elusion is a cheap office chair, it has few features like more high-end products. Adjustable arms are one of these features. You can adjust the armrests height and width to find the most comfortable position for your forearms, shoulders and wrists. It’s really important, because when you spend a lot of time at the desk, writing or typing, your arms should be well supports. 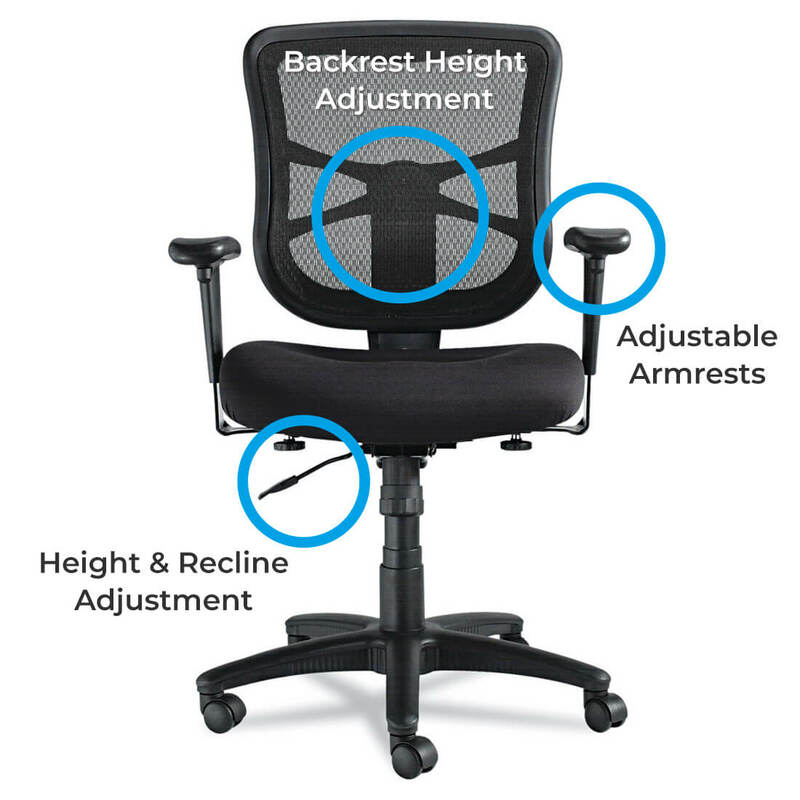 Adjustable armrests help to avoid the wrist fatigue and relieve the tension on the shoulders. The height is adjustable by buttons, but to change the width you need to use screw knobs underneath the chair. I like the backrest of this chair which has a mesh cover. This fabric provides good air circulation so when you work for many hours on hot summer day, your back stays cool and you don’t sweat. For the seat you can choose one of two materials: soft airy fabric or leather. I definitely prefer the former one – the seat doesn’t heat up and your buttock and thighs also stay cool. On the other hand, the leather material may heat up and get sticky on warmer days or when you sit on the chair for many hours. I would say it would be less comfy, especially for those who work for long hours a day or live in a hot climate. There’s one more interesting thing that I found out about the fabric while reading customer reviews on Amazon. One user mention that cat hair doesn’t stick to the seat fabric very hard and it’s quite easy to brush it off. This may be a great thing for those who are looking for a chair for their home office and have a cat or other pet at home. The armrests have polyurethane pads which are quite soft, however there is no additional fabric cover or padding. The arms are fairly comfy, but I just had to mention that as some users prefer fabric padding. According to customers on Amazon, the armrest are very durable and the amount of firmness and softness is just adequate. The 5-star base is made of nylon and has five 2″ dual wheel casters. According to customers on Amazon the standard wheels that Alera Elusion come with, roll easily and smoothly (but not too eagerly). However, few people suggested getting special wheels for carpet/ hardwood floor to avoid scratches. According to the manufacturer this ergonomic office chair is suitable for users up to 250 pounds. In customer reviews on Amazon I’ve read that average in height and tall people have been using this chair. It’s most comfortable for people from 5’5″ to 6’2″ – they can sit all the way back and their feet touch the floor. People who are 5’2″ have been using this chair as well and some of them were able to put their feet on the ground, while other weren’t. So the comfort depends on the leg length as well. This chair would be less comfy and supportive for very short person (the seat is quite roomy) or very tall person (the top edge of the backrest could hurt his shoulder blades). In my review I described basic Alera Mid-Back. On the market you can find a few other versions. Often question is: What is the difference between Alera Elusion High-Back vs Mid-Back. Alera Elusion Series Mesh Mid-Back Multi-functional Chair which has few more features and adjustments. This version allows to adjust the tilt – you can lock it in any recline position or just leave it unlocked so the backrest rocks back and forth freely. There is even a forward tilt for those who lean forward slightly while working. Multi-functional version of Alera Elusion offers seat depth adjustment as well. The seat easily slides forward and backward to adjust to user’s legs length, making the chair more suitable for people of different height. Alera Elusion Series Mesh Mid-Back Multi-functional Chair cost only a few dollars more than the standard version with less adjustments. I think it’s a good investment. 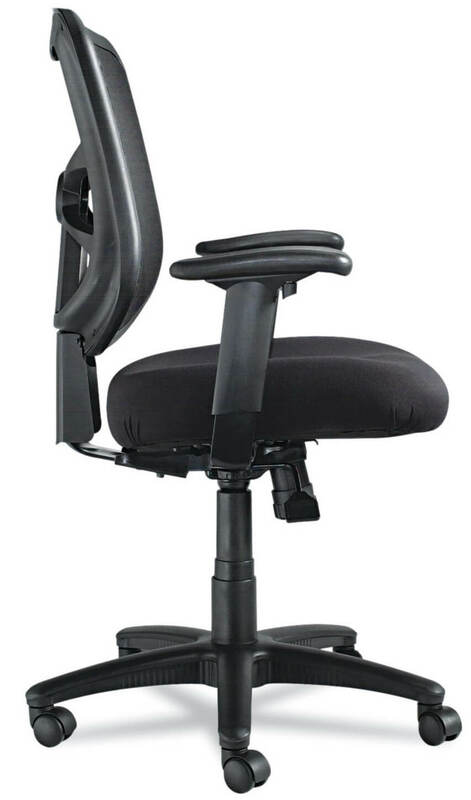 Alera Elusion is also available in High-Back version which gives additional support to user’s upper back. It’s a better choice for a person who struggles with shoulder or neck pain. Alera Elusion High-Back Multifunctional also comes with bigger amount of adjustments like lock for recline positions and adjustable seat depth. This model is a bit more pricey and cost a little over $200. What Other Customers Think About Alera Elusion Series Mesh Mid-Back Swivel / Tilt Chair? Reviews by people who already tested Alera Elusion. Many customers have been using this chair for 8+ hours a day and it has been very comfortable for them. And since it doesn’t cause back ache, cramps, sleeping legs and sweating, it doesn’t distract users from work and helps them to be more productive. Moreover, few people mention this chair gives good ergonomic support and even has helped them with back problems (especially lower back pain). One person mention having sciatica and this chair has helped to relieve the pain. Another advantage, according to users, is a wide range of chair height settings which makes it good for people of different height. I’ve read that Alera Elusion Chair is very comfy for 5’5″ and 6’2″ people. Even short people (about 5’2″) have been using it without any problems, however some of them weren’t able to put their feet flat on the floor (it depend on the torso and legs length). The seat is roomy – definitely suitable for people who weigh 250 lbs, but on the other hand it may be too deep and wide for a petite person. Mesh backrest is breathable and gives good amount of support at the same time. Moreover, this chair takes up fairly small amount of room so it’s good choice for a small workspace. According to the customers there are few disadvantages. It doesn’t support the neck. It’s less comfortable for very short people (under 5’2″) and very tall people (over 6’2″) with very long legs. Another disadvantage is the reclining mechanism which is quite stiff and difficult to use. On the other hand, the height of the chair and armrests adjusts easily. Customers evaluate Alera Elusion as an all-purpose, good quality office chair for people who are on a tight budget. If your budget is not high and you need good, ergonomic chair with most important features, this chair could be your choice. I hope that after my review of Alera Elusion you already know more and decision will be easier for you. Good luck!